One of Christie Brinkley’s two available Hamptons estates went into contract this month. The actress may be in luck; she had cited a desire to reside in the remaining home. The actress and former model’s shingle style—’Tower Hill’—a twenty-acre slice of Hamptons timelessness, may be where she’ll now hang her hat. It’s not a waterfront property, but it’s sylvan and beautifully landscaped, and the house is a late 19th-century shingle-style gem. 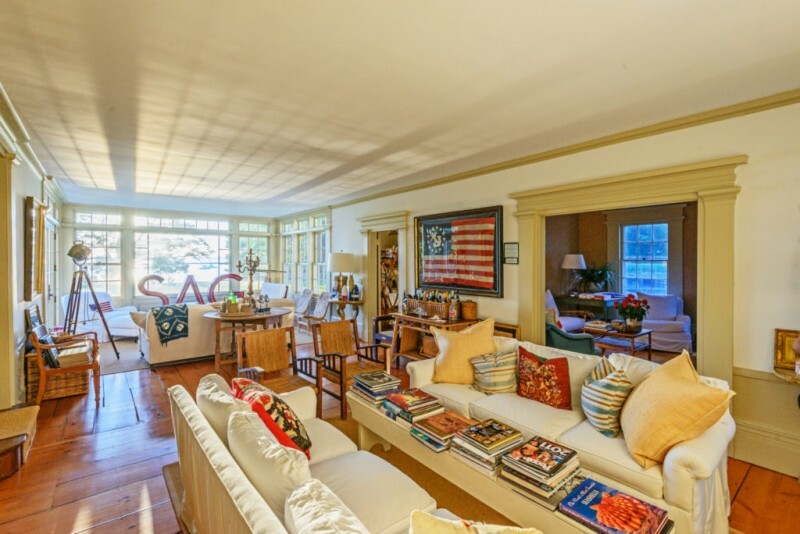 The home that has provisionally sold is no slouch among properties, though; the house features grandiose Greek Revival pediments front and back, and the lot rolls down to a spit of sand beach on Sag Harbor. It was initially listed at nearly $16 million in 2010, made a brief appearance in 2017 at a say-your-prayers ask of $25 million, and priced at $18 million just before going under contract. 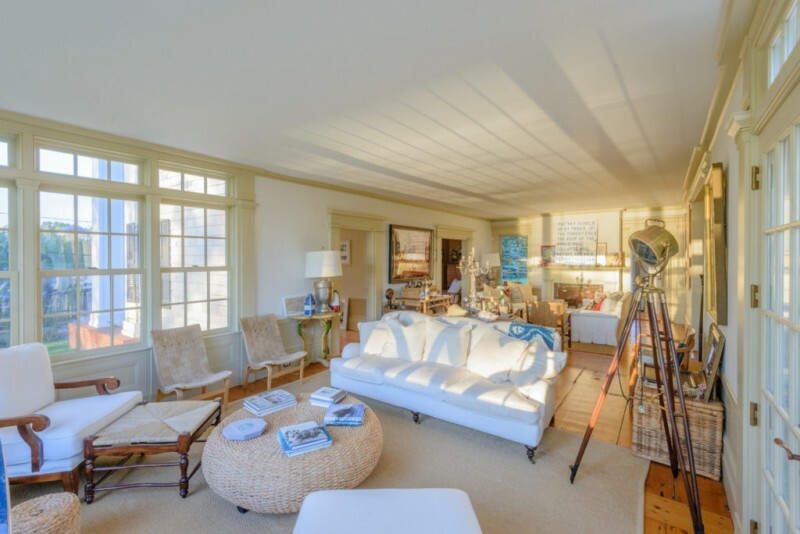 While not as dizzily romantic as Tower Hill, the waterfront home dates to 1843, and carries the history you’d expect. Inside, it’s open and breezy, with exposed steel and timber, and original wide-plank floors. Glass abounds on all three floors, allowing knee-bucklingly beautiful views of the harbor and the tree-dotted property into most rooms as a most pleasing context. 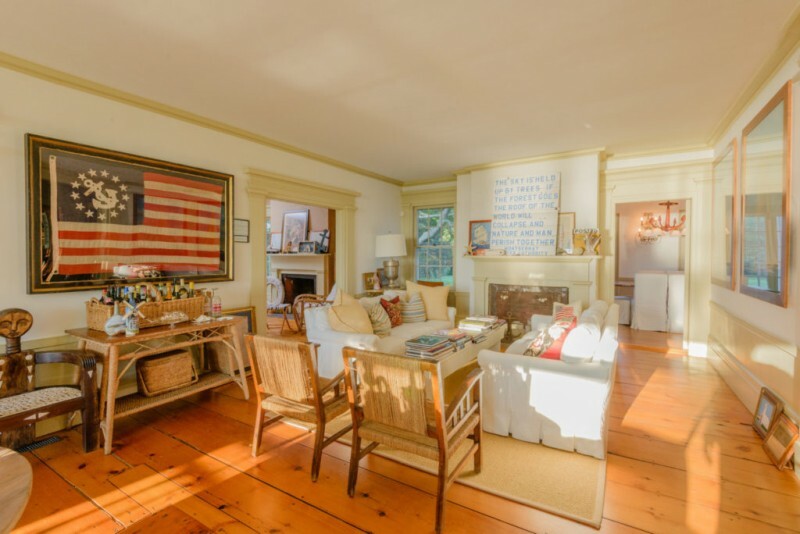 The 4.4 acres of land are startlingly evocative of old-fashioned East Coast summers. 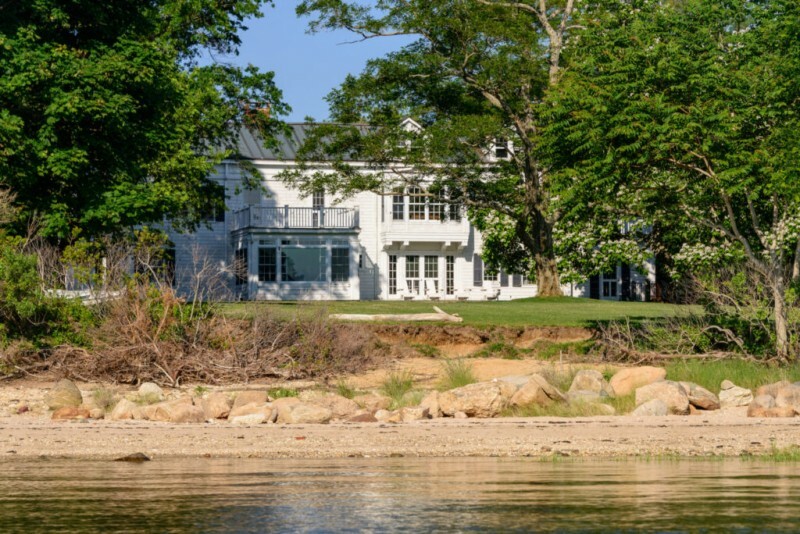 A slate patio/sunlounge surveys the back 40 and harbor, a gunite pool adds another classic element, and the property’s gardens and lawns are downright idyllic. Brinkley was one of the original supermodels, leaving art school in Paris to pursue her career. In more recent years she’s focused on a suite of businesses that include eyewear, skin care and prosecco.